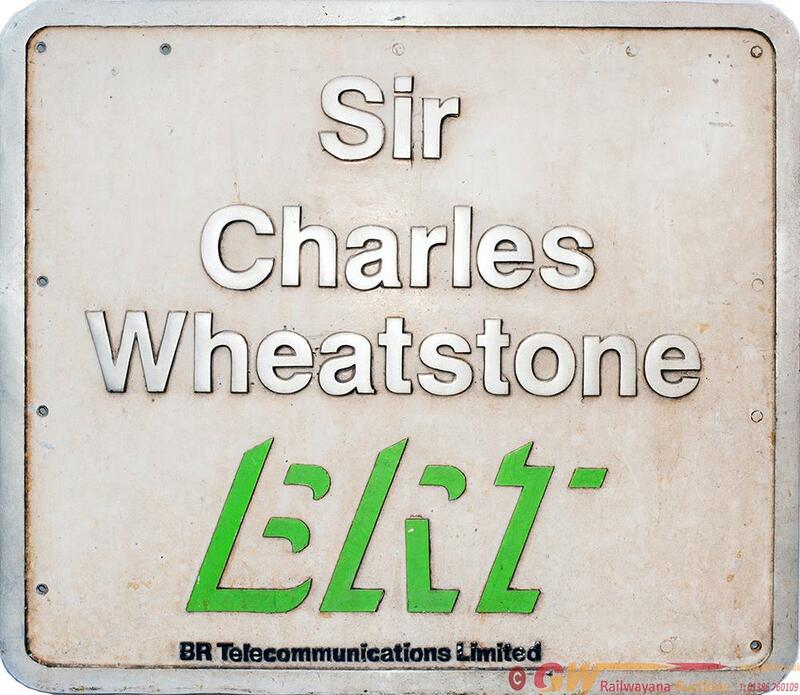 Diesel Nameplate Sir Charles Wheatstone Ex 20187. Diesel nameplate Sir Charles Wheatstone ex 20187. Named at Pickering Station North Yorkshire Moors Railway 28.05.94 when part of the BR Telecommunications fleet, the name was removed around 06.97 and loco sold to Direct Rail Services. Renumbered 20308 after overhaul and currently stored at Barrow Hill. In ex loco condition.